Call To Action Phrases That Get The Click! Conversions at 1 a 21! That's almost 5%! These statistics are almost unheard of in the weight loss Niche. I can also provide live proof if you would like. NOTE: The 'Earnings Per Hop' and 'Initial Sales Amount' shown is obviously from the vendor account - calculated on 30%. Tired of the super competitive Clickbank English Language Market Place? Wouldn't you like to find a Niche that you know converts well, with little affiliate competition, and where the current webmasters in the Niche have very little SEO experience? As a Clickbank affiliate myself I know how frustrating it can be trying find a lucrative Niche in the Clickbank market place. I have many great marketing strategies that convert well, but as you already know, it's tough when hundreds and even thousands of affiliates are promoting the same product, and everyone is fighting for those same few lucrative keywords. How many times have you told yourself "I should have started affiliate marketing sooner!" A Clickbank product with a High Gravity is (usually) a good indicator that the product converts well, but it's also a very good indicator that the Niche is going to be super competitive. Earn 70% (€23) For Every Sale, in Euros! 1. 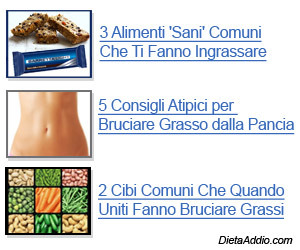 The price of Dieta Addio will increase within 2/3 months to 37 Euros. Keep that in mind if you intend to mention the price in your sales copy. 2. New affiliates should note that due to the nature of how people interact on the Internet they often return a few days or even weeks later to purchase the product. For this reason the first 2 weeks or even the first month will usually see less conversions than the following weeks. 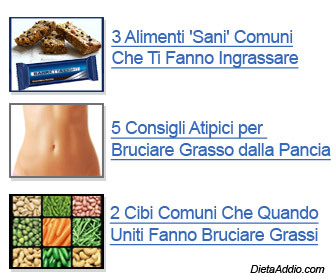 What's so Great about Promoting Our Clickbank Products in the Italian Market? This is like the Internet in 2003 and 2004. Affiliate Marketing in Italy is still in its infancy. There is little competition and where there is you'll find that many of the websites are poorly optimized. Often your competitors on Google's 1st page will have paid scant attention to Title Tags, Decriptions, URLs, H1 tags etc. Simple sniper methods (like buying exact match domain names) work extremely well, often requiring no backlinking whatsoever! There are many high traffic Buyer Keyword Phrases with very little competition. 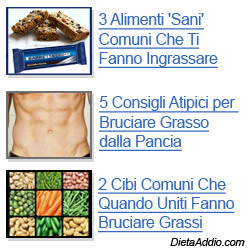 If you already promote a similar product in the English market place it's easy to convert your content into an Italian. If not, there's plenty of great content out there that you can change to your liking and then get translated into Italian. Fiverr.com is a great place to get English translated to Italian for relatively cheap. You'll see the results of your hard work a lot sooner than you will in the English Market Place, and you'll require much less off-page SEO (backlinks!) to rank in the Search Engines. Tired of Slaps, Pandas, Penguins and Algo changes? The Italian Internet is far from the roller coaster ride that the English Internet has become. 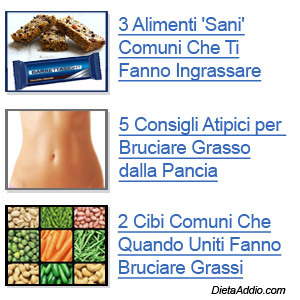 Perhaps not only the highest conversion rate in the weight loss Niche but probably in the entire Clickbank Italian market place. There are 70 million Italian-first-language speakers. Italian is (99%) only spoken in Europe (and in Italy mostly) so unlike the Spanish market (for example) you will be targeting people who ONLY earn Euro currrency. Why is this relevant? Because there is a big difference in traffic 'quality' from countries where people earn South American currency, compared with traffic from countries whose currency is the Euro, or the Dollar. NOTE: This product is created by a mother tongue Italian speaker specifically for the Italian market. This is Not an English Clickbank product simply hired out and translated into Italian. (There are many cultural intricacies and even social 'faux pas' which simply can't, and even shouldn't be given a straight translation. 24/7 Affiliate Support. You'll struggle to find better affiliate support for a Clickbank product. Let us know what you require and we're willing to help you achieve that. Refund Rates Less Than 2%. If you are sick and tired of trying to rank your websites in the highly competitive English Clickbank market place, and always wishing that you could have started affiliate marketing in the good' ol days of the Internet, like 2003, then this is your opportunity! Be The First To Hear About Our New Clickbank Product Launches. I'm looking to partner with just 25 Affiliates who are serious about making money in the Italian Market. You'll be informed long before we release our new Clickbanks products. You'll get information about the product, the Niche, and profitable keywords. This is a huge advantage because you'll be able establish yourself in a Niche and earn good money long before any competition arrives. Include in the Subject Line "Priority Affiliate Request". Once I have 25 Affiliates this partnership offer will be removed. You'll earn 70% commission on €32.95, so that's €23 per sale you make. If you make only 2 sales per week with a simple 4/5 page sniper site you can make €207 per month. For those of you who are brand new to affiliate marketing, here's a very basic overview of how it works. First, you sign up to Clickbank and create your unique hoplink (explained below). Next, you work to send traffic to our website and for every sale you generate you will earn 70% of our product's price. Google is the overwhelming search engine of choice in Italy (like it or not) with a market share of 88% of all daily Internet searches! They are followed by Virgilio & Alice with 5% market share, Bing with 3%, and Yahoo with 2%. That being said, the use of Google PPC campaigns in specific Clickbank niches is still very small. One can often purchase Buyer Keywords for only a few cents. The reason for this, I suspect, is that if there is any competition for a keyword phrase (often there is no competition! ), chances are the hard goods being marketed have a smaller profit margin (certainly much smaller than Clickbank products) and therefore they need to see results with little expenditure. 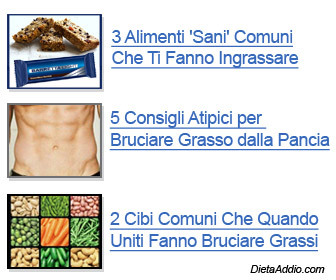 And again, people in Italy are much less savvy about Internet marketing. They don't have that "Ad reaction" that some people in the States may have, when they click from an Adwords Ad to a Clickbank sales page. When using Google's Adword Keyword Tool remember to set the Location to Italy and the Language to Italian. If there are some keyword combinations that you don't understand the Italian to English Google Translate is a very handy tool. Here are some presell lines that you can adapt and use in your Content. I suggest that you mix it up a bit otherwise you may end up using the same content as dozens of other affiliates. These 'Healthy' foods are secretly keeping you fat! Click Here. Burn 10% of your body fat in the next 28 days. Click Here. Jeans Skin fit ... Tu Puoi! I finally found the secret. I lost my stubborn belly fat in 3 simple steps. Click Here. I finally got the lean body I always wanted. Click Here. Clicca Qui per scoprire 3 Semplici Passaggi da Seguire per Perdere il Grasso Più Ostinato in Modo Permanente! Click Here to discover 3 Easy Steps to follow to Lose the Most Stubborn Fat Permanently! Remember that 80% - 90% of the sales that you generate will actually come from the text links inside your content. So while banners are a good accompaniment (rather than just having a long page of text) it's compelling content that will get the sale! I advise you to use Call To Action Phrases That Get The Click, within the content of your pages. Right click to copy the image and save it to your desktop, and then upload it to your site. 1. 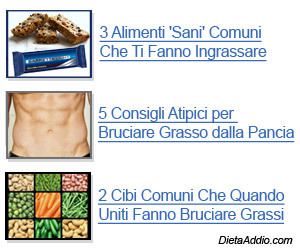 How to Tell the search engines that your site is in Italian. right at the beginning of your web pages. The important part is this: xml:lang="it" lang="it" dir="ltr"
Click on "Appearance", then click on "Editor". I notice that plenty of Italian sites DO NOT even bother with this. In fact, many use basic HTML (adapted from English websites) which tells the search engines that the site is in English. Yet, the sites still seem to rank well for Italian search terms. Place your list of Italian Keywords into Google Translate (or similar) to understand the meaning of certain keywords. This will give you a better idea of which keywords your exisiting content will match. Target an Italian Keyword Phrase for each individual web page you build. For Sniper Sites or smaller sites it's important to include the keyword phrase in the domain. Exact match, if possible. Title Tag. Place the Keyword Phrase as close to the beginning as possible. Meta Keywords are largely ignored, especially by Google. This is even more relevant in Italy as Google have 80% - 90% market share. In the H1 tags. Some say at the beginning is better, I think anywhere is fine. (One can also be guilty of over-optimizing). And maybe in another H2 or H3 Title Tag. Depending on the length of the article, use 3 - 5 keyword phrases throughout the article. (Ask the person who translates your article to do this). Inter-linking your website is good. You can also include the Keyword phrase in your anchor text. Not sure how/where to include the Keyword Phrase? It's a different language so it's not always easy to understand the context of the situation. A good tactic is to summarise - like you would in a Headline or Banner. 3. Remember to also get your Title Tag, MetaTags, Headings and Pitch Lines translated into Italian.